Atlantic Brass Band, founded in 1984, is one of the premiere volunteer performing ensembles in the greater Philadelphia and Southern New Jersey area. The band is committed to bringing the arts to the community through entertainment, educational collaborations, and fundraising efforts for local schools and charities. The band, led by Rowan University professor Salvatore Scarpa, is all volunteer 30-piece British-style brass band. Atlantic is composed of area professional musicians, professors, music educators, students, and community members. As three time North American Brass Banding Champions and 2017 U.S. Open Champions, Atlantic is in great demand for a wide variety of area performances. Their typical busy schedule includes bringing summer nostalgia to the New Jersey shore, religious concerts to area churches, educational formats for area schools, crowd pleasers and sing-a-longs for area businesses, and competition music for the college or academic setting. Atlantic Brass Band also routinely performs as a five-, eight-, or ten-piece chamber ensemble for area churches, organizations, special events, and community centers. The band has both expanded its musical horizons and gone back to its British roots by traveling abroad and by working with international soloists and conductors to work with them here in the United States. Atlantic’s has toured England twice and Italy once. Recently,Atlantic has worked with several distinguished, internationally-known musicians, including Dr. Nicholas Childs (UK), Iain Culross (UK), Gary Cutt (UK), John “Pip” Hannevik (Norway), Torgny Hanson (Sweden), Leonardo Laserra Ingrosso (Italy), and Steve Sykes (UK). ABB is the Ensemble-in-Residence at Rowan University in Glassboro, New Jersey, and was originally formed as the Wheaton Brass Band in the early 1980's by Yorkshire-born Herb Roselle. 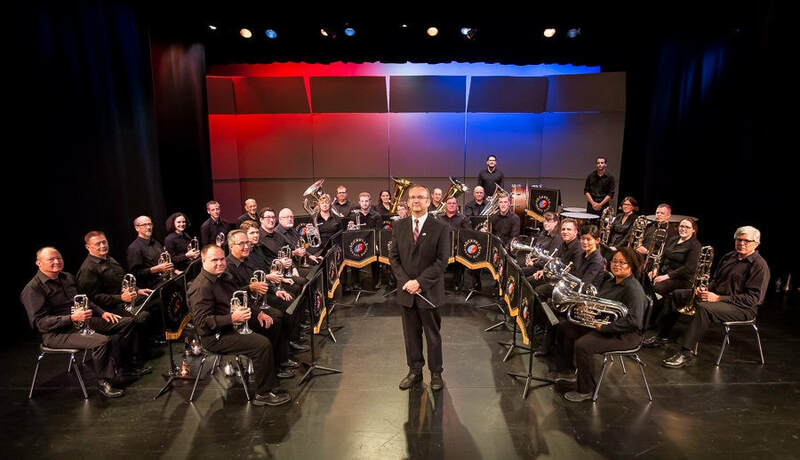 Formed in 1996, the Chesapeake Silver Cornet Brass Band is comprised of amateur and professional musicians from New Jersey, Pennsylvania, Maryland, and Delaware. Following the brass banding tradition, we are an all-volunteer organization. The band performs a varied repertoire of contemporary and traditional brass band music throughout the Mid-Atlantic region. On April 13, 2013, the band won First Place in its division in the North American Brass Band Association Competition (NABBA) held in Cincinnati, Ohio. On March 30, 2012, the band won Second Place in its division in the NABBA Competition held in Cincinnati, Ohio. 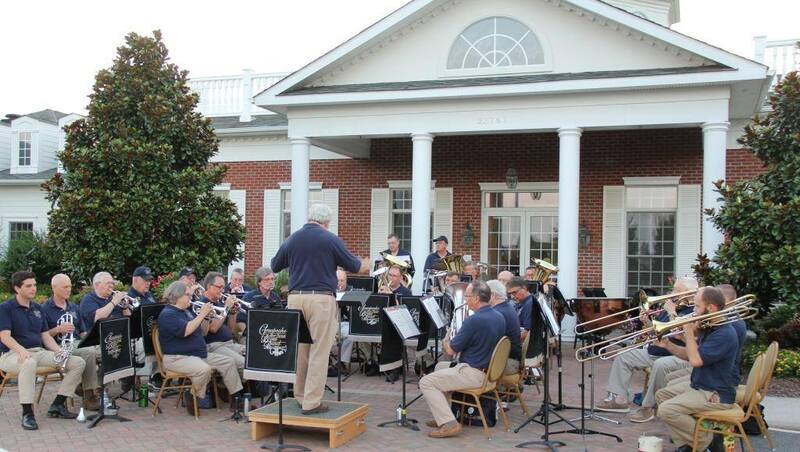 On April 17, 2010, the band won Second Place in its division in the North American Brass Band Association Competition in Raleigh, North Carolina. On March 24, 2018, the band won Runner Up in its division at the Dublin Festival of Brass in Dublin, Ohio. Imperial Brass has been delighting audiences around New Jersey for over 25 years. 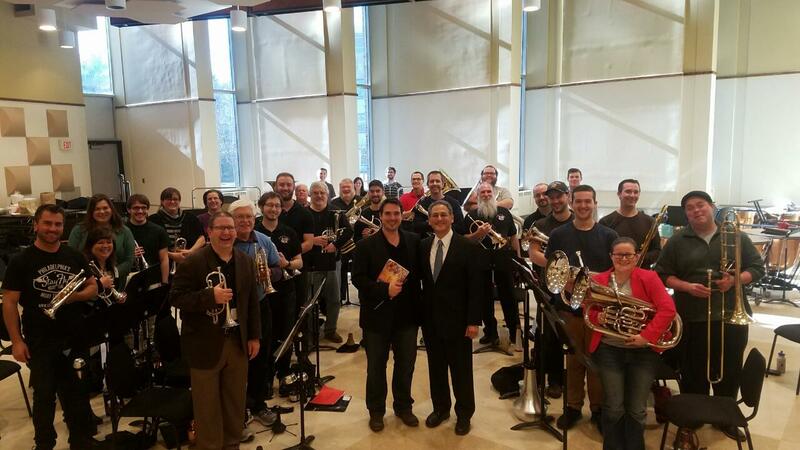 Originally founded as the Rutgers Alumni Brass Band by alumni Steve Dillon and Jon Korsun with arranger Mark Freeh, the band gave its first concert in April of 1991. Since then, Imperial Brass has presented highly entertaining programs that include traditional brass band literature, classical arrangements, popular music and more. Many of the world's greatest brass musicians have worked and collaborated with Imperial Brass over the years. Featured artists have included former principal trumpet of the New York Philharmonic Phillip Smith, principal trombone of the New York Philharmonic Joseph Alessi, principal trombone of the New Jersey Symphony Orchestra Charles Baker, and principal tuba of the New Jersey Symphony Orchestra Derek Fenstermacher. Imperial Brass has performed at memorable venues across the state, including multiple appearances at the Great Auditorium in Ocean Grove, the Montclair Citadel, and the Monmouth County Public Library in Manalapan. 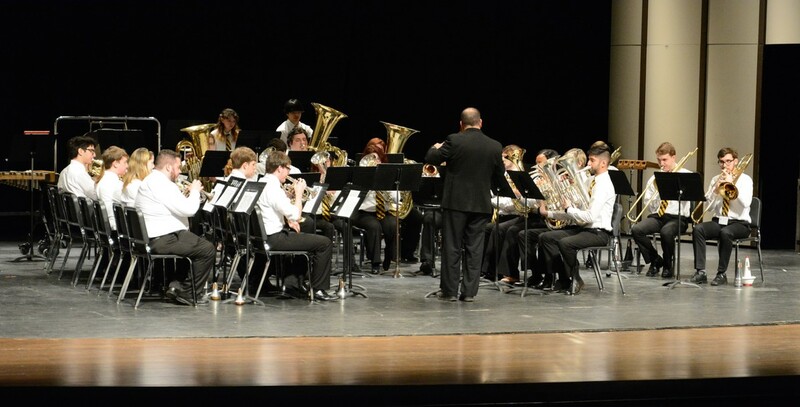 The band also performed at the International Trumpet Guild conference held at Rowan University in 2006, as well as the New Jersey Music Educators Association Convention in 2013. Imperial Brass has worked under the baton of many fine conductors, including Patrick Burns, Brian Bowen, Thomas McCauley, Anthony LaGruth, and currently Ron Waiksnoris, who has served as Music Director since 2016. Imperial Brass has also recorded, produced, and released 6 CDs: Imperial Brass Highlights (1995), Imperial Brass and Friends (2002), Bone-A-Fide Brass (2007), Have Yourself a Brasy Little Christmas (2007), An American Legend: Imperial Brass Plays the Music of Leroy Anderson (2017), and Imperial Brass Plays J.S. Bach (2018). Making their 2nd appearance at the 2019 Mid-Atlantic Brass Band Festival, this small ensemble is sure to impress. 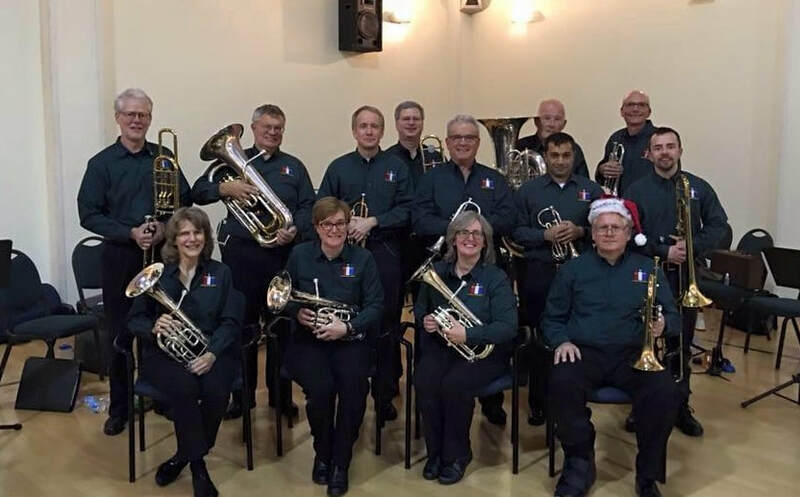 Lambertville Brass Band strives to maintain a commitment to service and engagement in its community and has annual concerts at local nursing homes, Trenton Psychiatric Hospital, and the NJ Veterans Haven facility for homeless veterans. Several times a year you can find them playing for people on the streets of downtown Lambertville, NJ. Their compact instrumentation allows the band to play in smaller venues while preserving, as much as possible, the integrity of the original brass band scoring. A British-style brass band is a musical ensemble comprising a standardised range of brass and percussion instruments. The modern form of the brass band in the United Kingdom dates back to the 19th century, with a vibrant tradition of competition based around local industry and communities. Bands using the British instrumentation are the most common form of brass band in the United Kingdom, Australia and New Zealand, and are also widespread in continental Europe, Japan and North America. Penn View Brass Band rehearses weekly on Sunday evenings and performs several concerts throughout the year for various community and private organizations. Our musicians are some of the most experienced and talented brass instrumentalists in the Philadelphia area. The Rockville Brass Band is among the oldest operating and competing Brass Bands in the United States, originally founded in 1976. Our membership is comprised of dedicated amateur musicians seeking to entertain audiences and promote British Brass Band music performance. We are thankful to reside in the Washington DC area where we have the support of a large community of cultured music enthusiasts. The band has appeared in many venues over its long history, including the Music Center at Strathmore, the U.S. Capitol Rotunda, the Glenn Echo Folk Festival, the Cleveland Park Street Festival, Laurel Riverfest, the Norway Day Festival, the British Embassy, Montgomery College and American University. We regularly perform at the Gettysburg Brass Band Festival, the Mid Atlantic Brass Band Festival and the North American Brass Band Association Championships. In a typical year, the band provides concerts at various locations in the local area and travels to brass band events. Our music selections cover a wide range, including military marches, orchestral transcriptions, jazz, blues, and contemporary concert and brass band pieces. We also take great pride in being a U.S.-based British Brass Band with a British director, raised in the movement.